Valentine’s Day is one of those holidays that you will find either people celebrate it or it’s just another day. 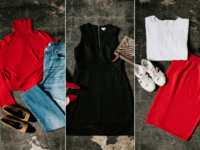 Whether you choose to celebrate or not, style blogger Beverly Adams shows how you can help look pulled together without breaking the bank. Giving back to your community is as easy as giving away your stuff. 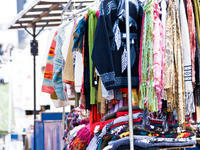 Check out how you can make the most out of your thrift store donation. Our thrift stores are a treasure trove of items for every conceivable costume. 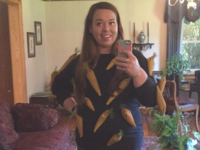 Take a look at these 10 costume ideas that you can find today. 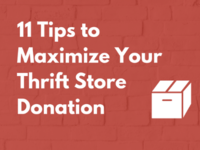 It shouldn’t be a big secret how thrift stores operate, sort donations and how much they value the clothes and household items donated by community members like you. 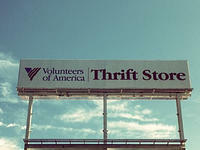 The proceeds of Volunteers of America thrift stores support life-saving programs for community members in need. 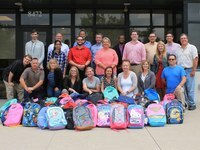 How can I donate to Operation Backpack®? 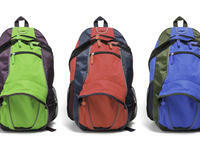 So, you know that you want to participate in Operation Backpack® but now what? 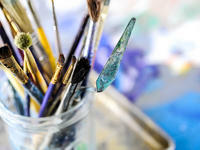 There are a few ways to get involved, allowing you to choose the method that works best for you. Let's go through all the ways you can give homeless children in Ohio confidence. When you host a back-to-school backpack and school supply drive for Operation Backpack®, you help prepare kids in need with the tools to succeed in school. 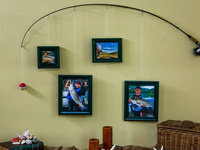 Thrift stores are one of the best places to stock up on affordable picture frames. But, what if you want to display your photos in a way that’s as unique as you? Check out some thrifty ways you can post pictures around the house, all made with materials that can be picked up at the thrift shop. 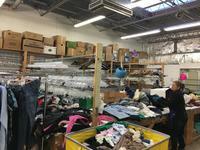 Behind-the-Scenes: How do our thrift stores sort their donations? Take a behind-the-scenes peek at how your donations go from your driveway to out onto the sales floor. We'll walk you step-by-step through our sorting process. Looking for some affordable ways to stay warm this winter? 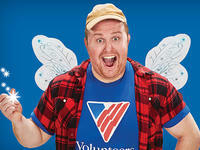 Check out Volunteers of America thrift stores. You can find everything you need during these bitterly cold Ohio winter months. Best of all, when someone says to you, “Where did you get that? 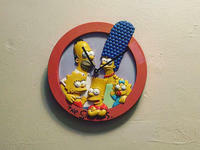 I want one,” you can tell them it’s a one-of-a-kind find. There’s no doubt that there’s an art to thrift shopping. There’s a sense of adventure walking into one of our thrift stores and not knowing what you’re going to go home with. 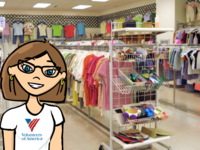 Volunteers of America of Greater Ohio thrift stores aren’t just a place to save money, (although you’ll certainly do that), they hold a little sliver of history in each item. Volunteers of America of Greater Ohio strives to end the shocking numbers of homeless in our state through providing supportive services, that are funded with the help of your car donation. New Year. New Reasons to make a Car Donation in Columbus. Maybe you got a new car as an incredible holiday gift. 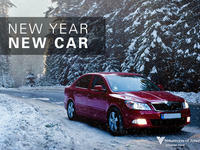 Or maybe you’re just thinking “new year, new car”. Either way, your pre-loved automobile is going to need a new home. Why not consider a Columbus car donation? 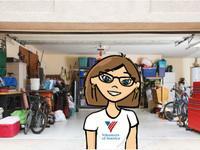 It’s the perfect way to serve your community and clear out some space in the garage all at once! 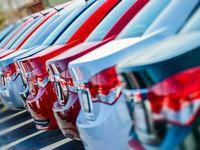 Check out four reasons you should spring for a new ride and donate your car in Columbus. 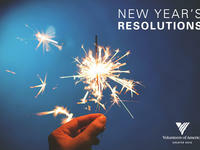 Now is the time to make your New Year’s resolutions. Need some inspiration? Look no further. Set a goal to be more charitable this year, and start by making a Columbus car donation. Here’s why! 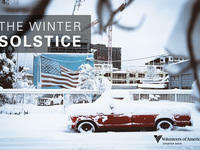 Today is the Winter Solstice, meaning the days get shorter and the nights get longer. 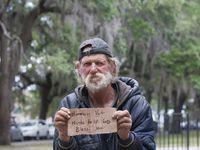 In these icy temps, homeless veterans are suffering more than you can imagine. A Cleveland car donation goes a long way to help those in need. Here’s how! ‘Tis the Season for Giving, But Do You Know What The Greatest Gift of All Is? It’s officially gifting season, and Volunteers of America of Greater Ohio has the gifting inspiration you need: donate your car in Columbus! Here are just a few reasons why your auto donation is the perfect gift for your community. Part of the fun of thrifting is finding items you can transform. Best of all, so many items can be, ahem, polished up, with a couple coats of nail polish. If you're looking for new ways to put that epic nail polish collection to good use, then you're in luck. 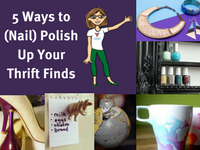 Check out five of the top items you can use nail polish on to make your thrift finds even more beautiful. Thanksgiving is around the corner, which translates to: spending time with friends and family, enjoying a huge meal, and sitting around the TV watching all the parades and football your eyeballs can handle. 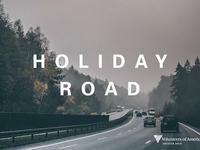 Holiday season is upon us, which means: holiday road trips! You may be trekking to visit family in some faraway places, and in some pretty iffy and unpredictable weather, too (this is Ohio, after all). November 11 is a very important day in the United States; it’s a day to recognize and celebrate those who have served to protect our country. All veterans, old and young, whether they’ve served in the Navy, Army, Air Force, in Vietnam or in Afghanistan; deserve to be honored. 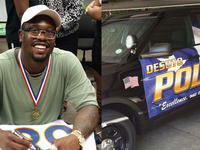 A Cleveland car donation to Volunteers of America could get you celeb status! Follow the lead of mega stars who have contributed to causes they hold dear. The start of fall calls for consistent driving to and from work and school. And because winter is next, now is the time to get ahead on those safety inspections and updates. Thrift stores in Columbus are full of so many things you can use to decorate with around the house. 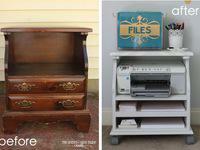 With a little upcycling you can give all your thrifted finds a new life. 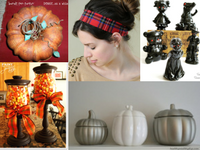 Learn how to transform everyday items into fall decorations that will wow all of the trick-or-treaters. 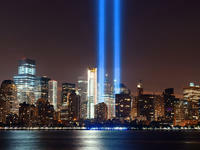 Today we remember. Show your respect for post 9/11 veterans by giving back in the form of an auto donation. They fought for us then, they fight for us now. Finding that perfect piece might take a little time and effort. 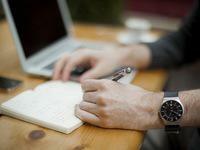 Here are some pro-tips to help you maximize and navigate your experience. Back to school means new clothes, new supplies and... new car? Donate your car and ride back to school in style. 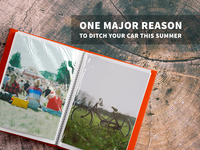 There are plenty of reasons to donate your car. 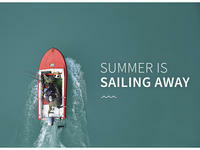 Did you know there are just as many reasons to donate your boat besides boating season coming to a close. Learn how to make the most of every shopping trip to your Ohio thrift store so you can score the best finds at the lowest prices. You can always sell your car and get a new one, but donating it is much more rewarding. Here's why. Here’s why you should find alternative transportation to the festivals this year and consider making an Ohio car donation for a party-worthy cause. With this easy do-it-yourself tote, you can skip the plastic bags next time you check-out at your local thrift store. This simple bag takes just 30 minutes to make, cost less than $5 and only requires scissors and a T-shirt. Whoa, does it get any easier? Maybe the bride and groom gave you a registry’s worth of ideas to go off of, and maybe they didn’t. Either way, we have the perfect wedding present in mind. There’s no better birthday party on earth! But what do you get the guest of honor? We recommend the gift that keeps on giving. Help Others. Help Yourself: The Benefits of Being Charitable. As it turns out, there are several health benefits that result from charitable acts. 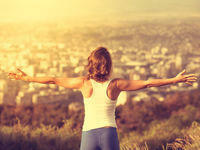 Give back, and start feeling great, today! 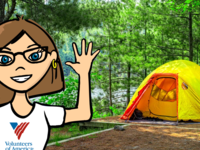 Did you know June is National Camping Month? I love to go camping all across Ohio. There’s so many beautiful camp sites to choose from. Best of all, I’m able to find a lot of my camping supplies at Volunteers of America thrift stores. 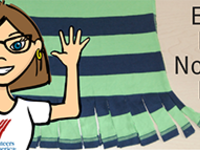 Debbie is here to tell you how to save yourself the headache of a yard sale this summer by donating your old clothes and unwanted items to your local thrift store. Just help him clean the garage already (and donate the car, while you’re at it). 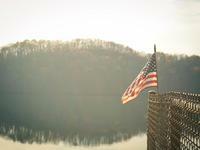 Celebrating Flag Day should mean celebrating those who have fought to defend it. How can you contribute? Donating your car in Columbus helps veterans and their families in a number of ways. Skip the cookout this year. 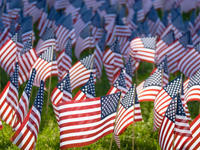 Paying homage to our nation’s fallen soldiers is the best way to celebrate the holiday. There are plenty of reasons why you should think about donating your car, boat, RV or motorcycle to Volunteers of America of Greater Ohio this summer. 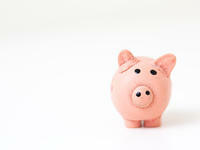 We put together a list of five, and saving money is one of them! 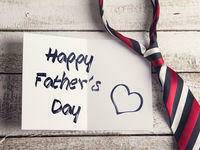 Your mother is the pinnacle of your world, so make Mom proud and spread the love. Give back to your community this Mother’s Day. Being homeless doesn't get easier as the weather gets warmer. In fact, it gets harder. Donating your car to Volunteers of America gives us the chance to change that. Spring Cleaning? Donate these items instead of throwing them away. Instead of tossing items out, consider donating. It’s great for your peace of mind, and it helps the community. Selling Your Car is Better Than Donating It. April Fools! Donating your car is easy, tax deductible, healthy, and costs you nothing. It’s National Medal of Honor Day! National Medal of Honor Day is today. The Auto Auction of Columbus, Ohio is a major supporter of the programs that benefit veterans in need. Why Does Everyone Want Me to Donate My Car? Happy National Old Stuff Day! Learn why Cleveland car donations are a perfect way to celebrate. By donating your car, you offer kindness to one of the communities most in need, the homeless. This Valentine's Day, give real love and make a difference in the life of a homeless person with the car donation fairy. Learn below about some of the greatest challenges facing the homeless this winter and how your car donation can make a crucial difference. Who would have thought donating your car had such positive impact on the homeless? 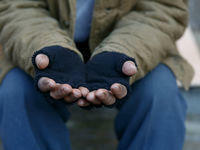 Learn shocking facts about what it means to be homeless and how easy it is to help. 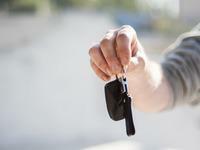 If you're ready to make room in your garage for a new car, consider donating your old one. 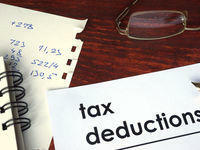 You may receive more in tax deductions than if you sold it privately. Here are three reasons you should upgrade and donate in 2017. Your days are numbered to add some deductions to your tax filing for 2016. Meet the deadline with ease with VOAGO by donating your car with a same-day, free tow. All you have to do is make the decision to give. We handle the rest. We've put together a list of thrift gifts that they'll never suspect cost you so little. 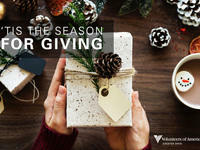 Make giving back to your community a part of your family holiday traditions with Volunteers of America of Greater Ohio. What exactly does "getting rid" and "tiding up" look like? 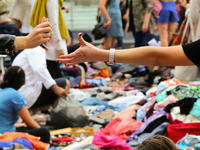 Here's how to decide what to give and what to truly discard. Before you probably had time to prepare for it, Thanksgiving fell upon us. While the whole country pauses for gratitude during this time of year, there are a few thankful hearts you may not have the opportunity to hear from. Known for a long time as The Mistake on the Lake and the place quarterbacks go to get injured, Cleveland, Ohio has spent much of 2016 rewriting your opinion of her. Here are the six things all Ohioans are glad the CLE has been up to. For the DIY champions out there, sometimes inspiration comes easiest after seeing what others have done. Simply seeing what’s possible can be enough to get your creative juices flowing and psych you up to take on a project that you’ll love for years to come. So if you’re ready to tackle a new project, check these projects out before you head out to one of our Columbus, Ohio thrift stores and be inspired and get working! Today we honor America today by recognizing the men and women who serve to protect the freedoms we have today. This is a day where the nation stands collectively to say, “thank you for your service.” One practical way to show your support for our nation’s veterans this year is to donate your car, truck, van or automobile. 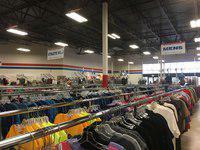 So you’re ready to head to a thrift shop in Columbus, Ohio and you’ve got some questions? Here’s real answers from the thrift community. Here are the best questions and most helpful answers from the thrift community of shoppers from across the whole country. The percentage of families in homeless shelters has dropped 15% nationwide, but has risen 7% in Columbus. Many factors contribute to homelessness, including the cost of housing, insufficient pay wages, and a lack of resources within the community to sustain already full shelters. But there are other contributing factors to homelessness that you may not have considered. 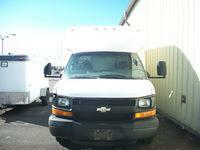 See how donating your vehicle can help the homeless in Columbus. Every vehicle donated to Volunteers of America goes to the Columbus Auto Auction to be sold. After a vehicle is bought, the funds from that sale support the worthwhile programs that help homeless veterans and young offenders on their way to becoming productive members of society once again. 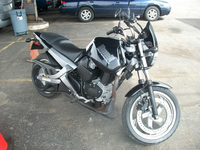 The following vehicles will be found at the auction this Saturday, October 15, 2016 at 5640 W. Broad Street, Columbus, Ohio, 43228. 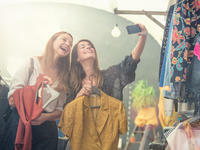 Thrift store shopping is often considered a modern-day treasure hunt. Every piece uncovered is a one of a kind find that you can take home for an affordable price. For the lucky patrons we’ll meet below, a trip to the thrift store turned into a major profit. See what they uncovered and why you should keep an eye out at your next trip to Volunteers of America. Cleveland’s proud citizens are doing their part to put a hard strike through the cursed reputation it used to carry. How? Simple: car donations. Let’s take a look at how you can be a LeBron and do your part to bring honor back to Cleveland, Ohio simply by donating your car. Volunteers of America has always been committed to a mission of encouragement and optimism in Toledo and all of Greater Ohio. Check out these stories of communities rallying around their citizens through car donations, and how you can join the movement. One of the best tips for heading into a thrift shop is to keep an open mind and your eyes peeled for unique items because you never know what will turn up. The following 14 items were found at Volunteers of America thrift stores all over Ohio and we are so glad these shoppers documented their finds on Instagram for all of us to see. 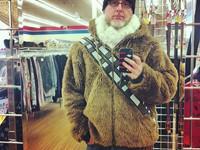 Check out the hilarious, bizarre and share-worthy items that these thrift shoppers found! End of the summer auto auction! When you donate a vehicle to Volunteers of America, the car goes to the Columbus Auto Auction to be sold. When it sells, those funds go to support programs that help homeless veterans and young offenders on their way to becoming productive members of society once again. The following vehicles will be sold at the auction Saturday, September 17, 2016 at 5640 W. Broad Street, Columbus, Ohio, 43228. 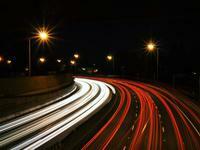 Does It Make Financial Sense To Donate Your Car in Toledo Ohio? So you want to get rid of your vehicle. And of course, you want to make a decision that is the best for your wallet. Let us walk you through the option to donate your car in Toledo, Ohio, and why it’s a smart financial decision—as well as a philanthropic one. Thrift stores in Columbus neighborhoods can save the day—and your budget (while helping you maintain your style, too!). 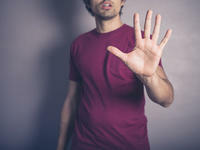 Outside of the excitement, moving into a dorm or apartment can be a hectic moment in time, not to mention an expensive one. For $100, you can purchase several items you need at your local thrift store; spending $100 at a department store would cover just a portion of your needs. Your car donation contributes to programs in Cincinnati and other areas in Ohio that support people who need shelter and resources. When donating your car to the Volunteers of America, you help the homeless. That’s why we’d like to clear up any misconceptions you might have about homelessness—we want you to know your contribution supports a meaningful cause and people in need, in Cincinnati and beyond. Who will help Volunteers of America of Greater Ohio get people to donate a car? The Car Donation Fairy. 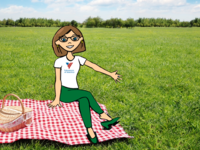 This summer, we started to think outside the box about how to increase awareness about our auto donation program and how to get people to remember Volunteers of America of Greater Ohio when the time is right to donate. 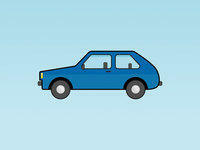 Confused about what do do with your old car? We think donating your car is the best option for your vehicle, not selling it. If you’re in this predicament, we’re hoping to make the process easier by providing a rundown of options for selling your car and then share with you why donating is actually your best option. The following artists have all found inspiration in their local thrift shops. 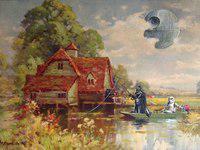 By adding their own unique touches to the art found in thrift stores, they transform mundane scenes into sensational landscapes that are as entertaining as they are inspiring. Infographic - Where does the money go when you donate a car in Ohio? Check out our infographic illustrating how the money from each donated car gets used to impact the lives of those in your community. See where the funds go after you donate your vehicle to Volunteers of America now! Finding information about cars just got so much easier—and a lot more fun. 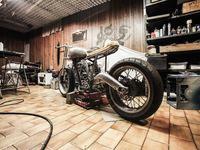 Maybe you love anything with an engine. Maybe you are looking for a new ride. Maybe you want to donate your car. Whatever the situation, this list of the top ten automotive podcasts will entertain, inform, and probably make you laugh out loud. We love thrift store bloggers and we love Ohio. Following their discoveries is almost as fun as thrifting itself. After rummaging through Ohio thrift stores, these bloggers describe their treasures and what they plan to do with them. Read on to see how these Ohio thrift bloggers do it! 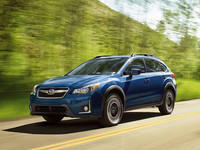 Donate your car and upgrade your family vehicle to one of these new beauties. School is out and families are gearing up for summer vacation. Whether you’re packing up the car to head down to grandma’s house in Southern Ohio or preparing for a cross country trip to Wally World, you and your family need a trusty vehicle to get you there safely and affordably. 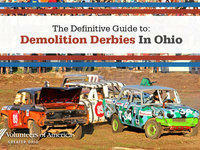 It’s demolition derby season in Ohio. This comprehensive list of 2018 derbies has all the details you need to catch the demolition derby games you crave. Summers are for county fairs, festivals and good ol’ fashioned fun. Plan your derby season now. Those who have served in our armed forces often face undue economic hardship after they return. For example, one in five homeless people is a veteran. Support our efforts to help veterans through a Dayton car donation. 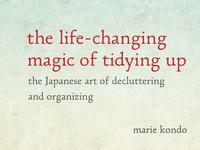 When Marie Kondo wrote “The Life-Changing Magic of Tidying Up: The Japanese Art of Decluttering and Organizing,” first released in 2014, few could have predicted what a phenomenon it would become. Get the basics of decluttering what doesn't spark joy for you. 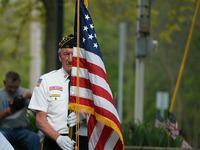 Cincinnati is among the highest in the state for homeless veterans. It’s a shameful fact, but veterans are more likely than the average person to end up homeless on the streets of the country they served. But, believe it or not, you can help if you donate your car in Cincinnati. 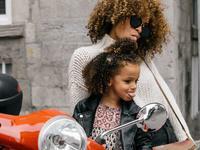 Some mistakes early in life can make it more difficult to be successful as an adult. Our Cleveland car donation program supports the Face Forward 2 Program and aims to help young offenders on the road to steady employment. If you’ve got an unused car out there, consider donating it to Volunteers of America. You not only get a huge jump on your spring cleaning and free up some needed storage space, your Cincinnati car donation helps your community. 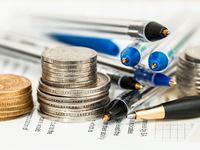 As another tax season has passed, it’s a good time to start thinking about next year’s taxes. 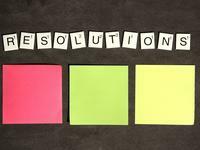 Whether you’re an early filer or the sort who is burning the midnight oil right up until the deadline, you can start planning now for ways to get the most out of your return next year. Your Columbus car donation doesn’t just fuel our programs to help change lives. It can make financial sense for you next tax season. Your donated vehicles fund our programs via our auto auctions that take place every other Saturday in Columbus at 5640 W. Broad St. If you’ve ever wondered what sort of vehicles you can find at our auction, here are five examples from a recent auction. In our own backyard, more than 47,500 children in Ohio experience homelessness. We have a long way to go in this state to end this problem. No child should ever live on the streets, and one effective way to help is by donating your car in Columbus to Volunteers of America. 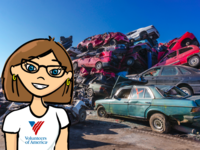 If you have a car you don’t want or need any more, there are many different ways to get rid of it, but perhaps none will more directly help your community than donating it to Volunteers of America of Greater Ohio. 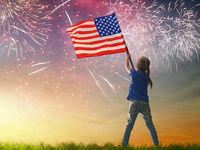 That’s because, to put it simply, your Dayton car donation funds many important programs at the Volunteers of America. If you have an unused or unwanted car, your decision to donate your car to Volunteers of America of Greater Ohio can go a long way to support our ex-offender rehabilitation programs. Even if your car doesn’t run any more, it can still help make Ohio a better place. So you want to donate your car in Cincinnati? So you’ve decided you want to donate your car in Cincinnati. That’s great news. Your simple car donation can positively affect a lot of people in Cincinnati through the programs of Volunteers of America. Who should I donate my car to in Cincinnati? It’s 2016, and you’ve made a big decision: You’re finally going to clean out your garage and make it a practice space for your new cover band! 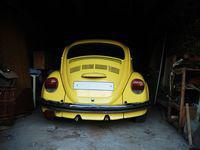 One quick and easy way to clean out your garage is to donate any underused, dust-gathering vehicles in it to charity. When it comes to selecting which charity to donate your car to, however, the options can be overwhelming. That’s where we come in. Homelessness can become a reality for anyone, but did you know, according to a 2012 study conducted by the Williams Institute, LGBT youth make up only 10 percent of the general population, while making up 40 percent of the homeless population. In January, The Columbus Dispatch reported that state lawmakers are meeting to ensure that military veterans who received a less than honorable discharge will not face extra hardships when they return home. Time is a valuable resource that is in short supply for many of us. Though most people want to help their community, it often feels impossible to carve out the time necessary to make an impact. Volunteers of America of Greater Ohio makes it simple to donate your vehicle and support on-going programs like youth education, food pantries, veteran housing and more. With snowstorms sweeping across the nation, keeping homeless men, women, and children safe and warm is easier said than done. 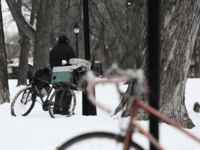 When snow, ice, and frigid temperatures make life on the streets uncomfortable and unsafe, many homeless Ohioans seek refuge in their local shelter systems. Learn how you can help them. 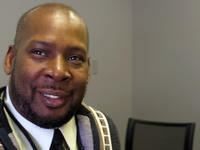 Meet the people your Cleveland car donation is helping. Donating your unused or unwanted vehicle to Volunteers of America of Greater Ohio doesn’t just clear space in your garage, it also changes lives. Volunteers of America of Greater Ohio offers social service programs, including youth education, food pantries, veteran housing and more. Our country’s veterans have selflessly served to protect and defend, but these brave men and women are twice as likely to experience chronic homelessness than the average citizen. 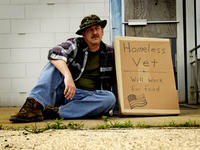 Volunteers of America of Greater Ohio aims to end homelessness among veterans, and you can help. 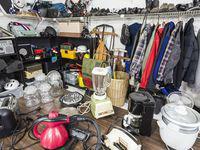 Thinking about de-cluttering your life by donating unwanted items or a vehicle? What if your donation could change a life? 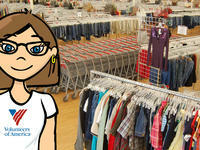 Donating to Volunteers of America doesn’t just clear out closet space, it actively improves your community. Help children in your community by supporting Volunteers of America’s after-school programs for homeless and at-risk youth. 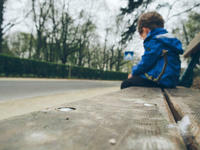 Ohio is home to more than 47,500 homeless children, and according to a study by the National Center on Family Homelessness, the Buckeye State ranks 27th in its handling of the problem of child homelessness. 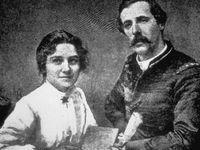 Ballington and Maud Booth founded Volunteers Of America in 1896 with a mission to "go wherever we are needed and do whatever comes to hand," as well to “reach and uplift” the American people. Now, more than a century later, their words still define the organization. Cincinnati is no stranger to thrift stores. 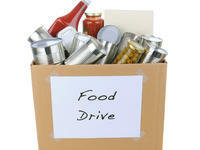 Are you looking to donate something a little bigger, like a car? Volunteers of America’s Donate My Car program funds many of our services. When you donate your vehicle (we also take RVs, tractors, motorcycles, boats, and pretty much anything with a motor), you are helping support these crucial programs in your community. So far this winter, the weather has been the highest ever recorded, with only little hints of snowflakes yet to come. 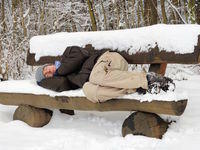 However, the snow and cold will come eventually, and when they do, they will hit Ohio’s homeless population especially hard. 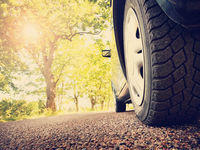 Volunteers of America’s Donate My Car program funds many of our most-used and popular services. When you donate your vehicle (we also take RVs, tractors, motorcycles, boats, and pretty much anything with a motor) to Volunteers of America, you are helping to support these six (and many other) crucial programs in your community. Get a jump-start on your resolution to help others with Volunteers of America of Greater Ohio by donating your car in 2016. Want to see how your Cincinnati car donation helps others? Take a tour. Want to see how your Cincinnati car donation helps others? Take a tour and and first-hand how your support and engagement helps individuals and families work toward independent lives. I've decided to donate my car. What's next? When you donate an old or unused vehicle to Volunteers of America of Greater Ohio, you help create a ripple effect of positive change in the lives of individuals and communities we serve, including the homeless, jobless, youth, veterans and more. You never know quite what you are going to find when you step into your local Volunteers of America thrift store. But chances are you will find something you value. And, more importantly, your purchase will be of value to the greater Cleveland community. One in five homeless adults is a veteran, and in the U.S., the number of homeless Vietnam-era veterans is higher than the number of service persons who died during the Vietnam War. Learn how donating your car can help those in need. As the days grow significantly colder and shorter, many homeless veterans migrate from the streets to their local shelter systems to escape the harsh weather. Unfortunately, however, the demand for shelter is often much greater than the supply. Learn how you can help. Schools and after-school programs provide comfort, safety and stability to children whose daily lives are anything but predictable. We are committed to helping homeless children receive educational opportunities that will help them escape the cycle of poverty. Hundreds of homeless veterans spend their holidays on the streets, with no shelter, family or meals in sight. Learn how you can help. You might've heard volunteering is good for you, but did you know your kids can benefit as well? Yep, and there's some actual science to back that up too. Despite stereotypes to the contrary, half of all Ohio households that sought help at a food bank were employed in the last year. 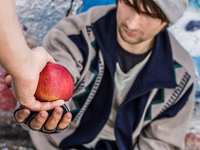 Learn how you can help the homeless today. National Domestic Violence Awareness Month might have come and gone with the passing of October, but helping victims of domestic violence doesn't stop there. There are many ways to help. From donating to a charity, to wearing purple, to volunteering at a local domestic violence shelter. 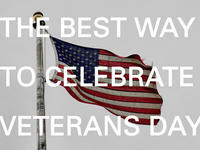 There are currently more than 22 million veterans in the United States. 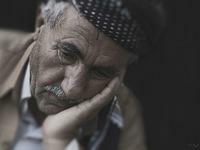 About nine percent of them are or will be homeless at some point during any given year. Read on to learn 5 things you may not have known about our veterans. Learn about what it's like for soldiers to walk on American soil again after fighting abroad, how they handle the transition, and how pains are eased through support, programs and your donations. 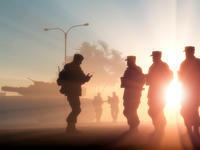 Veterans are twice as likely to experience chronic homelessness in their lifetime than the average American civilian. Learn how you can help today by giving a personal care kit, donating your car, or participating in the You Are My Hero campaign. As childhood obesity continues to affect children and adolescents in our country, donate your car to Volunteers of America to support services and programs, such as nutrition education for area kids. Donations come in all shapes and sizes at Volunteers of America of Greater Ohio. That means that you have lots of options to help make a difference in someone’s life. Studies have found that giving back boosts self-esteem, lowers your stress level, lowers chances of depression, increases overall happiness, and lengthens your lifespan. 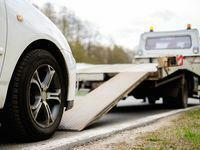 As the scrap metal prices hit an all time low, how do you get anything in return for your broken down vehicle? 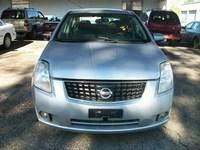 Through Dayton car donation you could get more than you would selling it for parts. 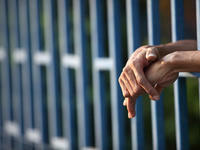 Our residential reentry program helps ex-offenders transition home. By donating your vehicle to Volunteers of America of Greater Ohio, you can help these men and women become productive members of society. Through contributions such as Cleveland car donation we are able to support veterans struggling with mental illnesses using art therapy and other resources. 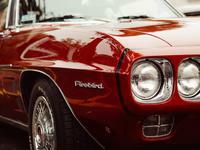 After cruising into this summer's Ohio car shows, you'll be motivated to search "donate my car." By donating your vehicle to Volunteers of America you're helping those in need. Donate your car in Ohio to help at-risk children returning to school in your community. When Volunteers of America of Greater Ohio sells your car at auction, the proceeds go to after-school programs that support and educate kids in our housing programs. 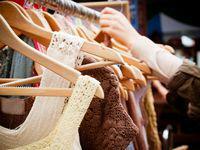 August 17 is National Thrift Shopping Day! 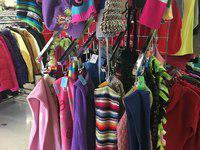 Here’s a look at some things you may come across when you shop at one of our thrift stores. 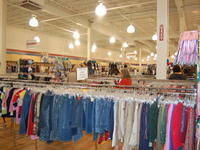 For any occasion, thrift stores in Columbus, Ohio have what you need to dress your best. We all like to look our best—but we can’t always afford the pieces we want with the budget we have. The thrift store is an affordable alternative to get quality items for your wardrobe like unique statement pieces or reliable staples. 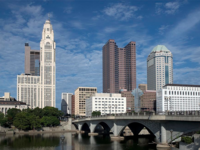 We want to help all of Columbus, Ohio and beyond find what you need for any life event. I’ll be answering your questions on what to donate and what not to this summer. Did you know you could receive a greater value for your vehicle on your tax return as a charitable contribution to the VOAGO? It beats having to worry about having to sell your vehicle! 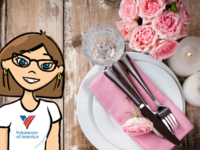 Find out how the Veteran Affairs department and other government agencies are not doing enough to support women who have served our country, and how your Cincinnati car donation can help female veterans. Can I Donate My Car to Feed Hungry Kids? For children who rely on free and reduced-price school meals, summer means little access to nutritious food. It means stretched budgets and empty bellies. How can you help? You and your family can help Ohio's homeless population this summer. Together, you can put together care kits, pass out water bottles, donate new socks, summer clothes or backpacks. These little things can give people hope and a fresh start for the future. Find out how clicking “donate my car” can help Volunteers of America of Greater Ohio continue to support those who have so bravely fought for our flag. Who Am I Helping If I Donate My Car? 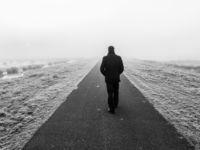 Think of five people in your life, including yourself. At least one of the five is struggling with a mental health condition. 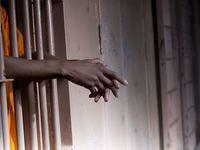 Yet, often, deep-rooted fear keeps them from seeking help. 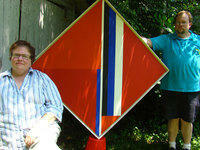 Darla's family lives in Volunteers of America of Greater Ohio’s permanent supportive housing. And your car donation helped them establish their new normalcy. There’s an activity for every family, from memorial races to donating your car. 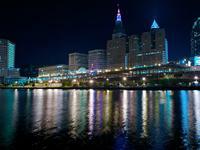 Check out these events happening around Ohio this weekend. A study published in March by University of North Carolina Charlotte (UNCC) further cements VOAGO's efforts. Now’s your time. With sunnier Saturdays and Sundays come the savvy sale shoppers, rummaging for treasure. From selling your old love seat to making a car donation, it's time to clean house. 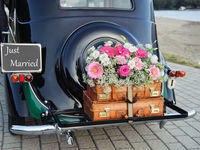 Planning a wedding can seem daunting, but with my help, you’ll see how easy – and fun – it can really be. After this clean sweep, you’ll feel rejuvenated after you’ve tackled sorting, organizing and donating. Let’s shake off the winter to give summer your all. Imagine leaving with the distinguished mission to serve your country, only to come back to find everything changed: your friends, your family, your hometown. 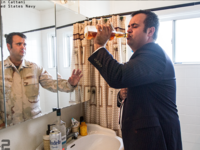 For some veterans, that’s reality, and the jarring switch from military to civilian life can often create the perfect storm for post traumatic stress disorder (PTSD). 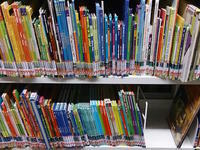 International Children's Book Day (ICBD) is celebrated annually on April 2 to inspire a love of reading and to call attention to children's books, but not every child is granted the opportunity to own books they can cherish. Another year down, more lives changed because of your generosity. We all have a story, and you played a role in someone else’s story. Whether we realize it or not, we have the opportunity to make a positive impact in someone’s life. If you’re paying attention to national news, our country’s economic climate seems as if it’s traversing the upswing—more jobs created, more employed and more families with children in homes. But, carefully remove your rose-colored glasses when looking through your back door. “Why don’t they just get a job?” A question you hear, or perhaps might have even thought, while passing an individual asking for spare change, stooped against a downtown building, surrounded by his few belongings. But, despite long-standing belief, many of the 2,500 individuals and families who reside in our shelters and housing facilities work, or regularly go out in search of employment. 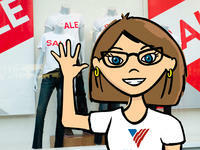 Welcome to the new and improved Volunteers of America of Greater Ohio website. This updated iteration of our website is faster, more intuitive and has a fresh, modern look. Women have undoubtedly help shape the world we know today. From Florence Nightingale, to Rosa Parks, to Mother Teresa, women have always played an vital role in history. Driving through hazardous weather to work, shoveling snow and skyrocketing gas bills are just a few of the everyday annoyances we have to put up with when living in the midwest. One of the most critical methods Volunteers of America of Greater Ohio uses to fund our services for the homeless, veterans, and families in need is our car donation and auction programs located in Cleveland, Cincinnati, Dayton and Columbus. In 2010, President Obama and the Department of Veteran’s Affairs announced an effort to eliminate veteran homelessness by 2015 known as the Ending Veteran Homelessness initiative. Could your Ohio car donation help end veteran homelessness in 2015? In November of 2009, President Obama and Secretary of Veterans Affairs Eric Shinseki announced an ambitious five-year program that would aim to end veteran homelessness in the year 2015. This Feb. 9-15 marks the annual international Random Acts of Kindness Week. This week-long celebration is designed to encourage people to make the world a better place through unsolicited acts of selflessness and generosity. Every winter and spring break, many of America’s 21 million college students leave campus and return to their parents or relatives’ homes to take a short rest from studying - but not every student has that luxury. 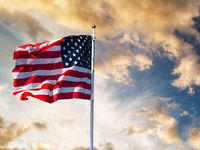 Today alone, approximately 550 men and women of the armed forces will return home to their families and civilian lives. And, while that number may sound quite high, over the next half-decade it will remain the norm. 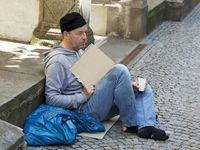 Is our government’s current definition of ‘homeless’ accurate? There exists a major discrepancy in how homeless children in America are counted. Everyone likes a good rags to riches story, whether it be a fairytale like Aladdin, or real accounts of celebrities who used to be poor, or even homeless. As we look forward to 2015, a recent report has given us some hopeful news for the new year. According to the Department of Housing and Urban Development, (HUD) the total number of homelessness individuals sleeping in homeless shelters or in the street has decreased by 11 percent since 2010. On Nov. 24, Volunteers of America of Greater Ohio held a ribbon cutting ceremony to celebrate the opening of its first-ever donation drop-off center in Ohio. The drop off center, located in Pickerington, is designed to allow members of the community to easily donate gently used items and help homeless veterans, families and individuals with disabilities get back on their feet. 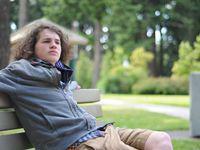 While the federal government is making progress when it comes to reducing homelessness among veterans and adults, a new report issued by the American Institutes for Research, titled “America’s Youngest Outcasts,” has brought some shocking numbers to light concerning childhood homelessness. 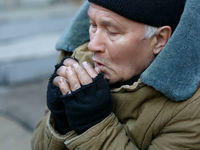 As winter begins to tighten its chilly grasp on most of the US, it’s more important than ever that the homeless population is given the resources they need to survive. Unfortunately, in some cities, assisting the homeless is becoming a crime. In the Christmas season, you may find yourself on the receiving end of some brand new stuff (if you’ve been good). Every year, many of us happily accept new clothes, gadgets, and household items as gifts from our friends and relatives. But what happens to all of the old items that your new goodies are replacing? 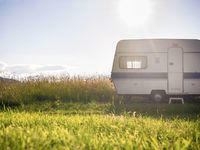 Put that old clunker to good use - help others and get tax deductions. How Do You Define Homelessness? When she was a seventh grader growing up in California, Shahera Hyatt’s family lost their apartment for the first time. They were able to put together the $40 to pay for hotels and motels—but living in poverty made it impossible to save enough money for first and last month’s rent and a deposit. The Christmas shopping season is upon us, and while many of us are frantically looking for gifts to give to our loved ones, or writing up wish lists of our own, it’s important to take a minute to remember those who are less fortunate. Access to food is a luxury that millions take for granted. Hungry? Just reach into the fridge or drive to the local supermarket. 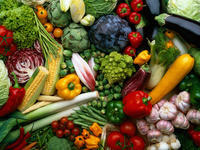 However, for more and more Americans, the prospect of having food on the table every night isn’t a certainty. Proud. Honorable. Brave. All accurate descriptions of our nation’s veterans, those who risked their lives in order to protect our freedoms and way of life. 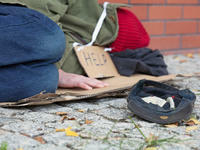 Unfortunately, for far too many veterans, there is another tragic description that can be used to depict them: Homeless. To transition from proudly serving under your nation’s flag to living on the streets is something very few of us can even begin to fathom, and tragically, this leads to many veterans taking their own lives. For some United States veterans, the absence of familiar structure, distance from squadmates, and memories of combat make readjusting to civilian life extremely difficult. Find out how one simple act of kindness sparked an 11-hour chain of paying it forward at a Florida Starbucks. All of our programs across the state honored the many homeless veterans served by Volunteers of America a little differently - but we were all joined together in spirit by the continuous support given to those who served our country. Every day, homeless individuals try to find a way off the streets. 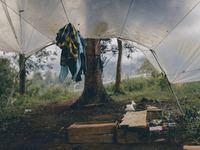 They move to a temporary shelter, receive treatment and begin to rebuild their life. America’s public education system is designed to give our children the skills they need to build the foundation for a successful future. While this system is intended to give every child an equal opportunity to learn, children who live in unstable or unfit living conditions face. 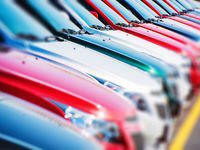 An auto auction is an entertaining and even exhilarating experience in which everyday people have the chance to buy vehicles for amazingly low prices. However, it’s not always as simple as showing up. It can be a difficult struggle for veterans who return home after years of serving in the military to readjust to everyday society. 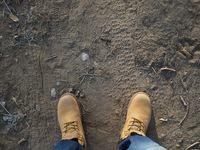 Socializing, looking for work and dealing with memories of war aren’t minor inconveniences. Twenty-five percent. That’s the number of US women who will experience domestic violence during their lifetime. And every year, one in three women who is a victim of homicide is murdered by her current or former partner. Last month, we reported that First Lady Michelle Obama, along with mayors, governors, and local leaders had joined up for the Mayors Challenge to End Veterans Homelessness. Daily life in the homeless community means there is no normal. It means depending on the kindness of strangers, trying to scrape together enough change to buy food and looking for somewhere to sleep each and every night. When walking around downtown Columbus, you might pass a homeless person and think nothing of it. After all, when you see homelessness week after week, the human condition is to just ignore it and go about your day. Have you ever had an issue at the DMV? Most of us have at one time or another, and we can all probably agree that it’s pretty inconvenient. 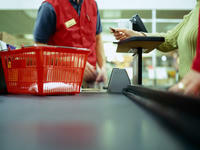 Ever since the recession began in 2007, Americans have done their part to help the economy rebound. This past June, the The National Coalition for the Homeless (or NCH) reported that there was a 23.8 percent rise in the number of violent attacks against the homeless in 2013 from 2012. 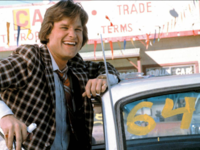 What you need to know to bid like a professional when you head to the auto auction! 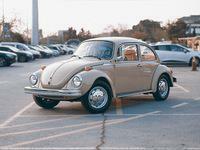 Read on for the best tips for buying a car at auction in Columbus, Ohio. 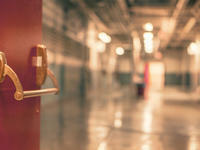 New data shows that student homelessness has soared in the years since the recession began. According to the most recent data available from the National Center for Homeless Education, funded by the Department of Education, there were 1.2 million homeless students during the 2011-12 academic year. Women in the Volunteers of America Columbus Permanent Supportive Housing program will now get some extra support through a newly launched motivational group. 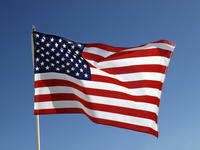 Ohio veterans get a boost in higher education. As higher education costs continue to rise, Ohio has stepped up to meet the needs of veterans wishing to pursue a degree. Veterans as a whole tend to be more highly educated than civilians, but they pursue higher education later in life. While past studies have shown that veterans are at high risk of homelessness due to factors such as military-related trauma, like post-traumatic stress disorder, new research shows that financial illiteracy could be a trigger for veteran homelessness as well. After 25 years of living on the streets, addicted to drugs and alcohol, Melinda Lindsay is about to celebrate four years sober. When she was discharged from the army in 1985, Lindsay “went to the party and just stayed there.” However, now, with the support of the Veterans Domiciliary at Wade Park, she is taking college classes and is well on her way to independence. Who should I donate my car to? Choosing a worthy charity to donate to can be difficult. You’re faced with a slew of questions: Where will my money go? How much is my car donation worth? Is my donation tax deductible in Ohio? 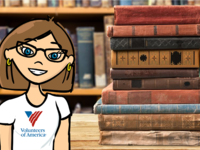 Volunteers of America of Greater Ohio is transparent and eager to help you find the answers. 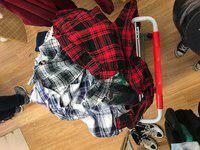 When was the last time you cleaned out your closet? How about your whole home? 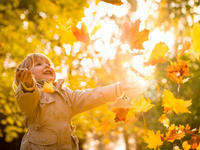 As the seasons change, fall is the perfect time to finally tackle that overstuffed closet or clear out your cluttered garage. Volunteers of America of Greater Ohio welcomed October with this year's Ohio Women Veterans Conference in Columbus. Across the country, organizations join their efforts to hold a critical event: the homeless veteran Stand Down. Imagine leaving your life, family and friends behind to serve your nation. When you return, nothing is the same. You struggle to rebuild relationships and even to find a job. 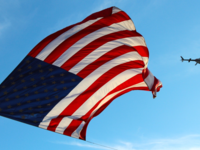 The departments of Veterans Affairs (VA) and Housing and Urban Development (HUD) recently announced $7.8 million in new funding that is expected to provide 1,120 homeless veterans with housing and clinical services. $25 billion. That’s the amount that charitable giving has declined since the economic downturn in 2008. Americans have struggled to cope with a volatile economy while state and federal funding have declined, making the role of charitable contributions more critical than ever. Female veterans are struggling with unemployment at a higher rate than their male counterparts, according to a new jobs report released by the Bureau of Labor Statistics. In a speech to the American Legion on Aug. 27, Vice President Joe Biden pledged that the federal government will continue to honor and support soldiers and their families both during deployment and after they return home. As the back-to-school season gets into full swing, Volunteers of America of Greater Ohio is excited to welcome families to our Youth Education Center. Did you know that 9 million people age 50 and over are at risk of hunger every day? 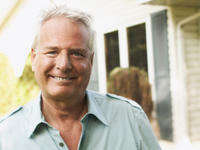 In fact, the number of people in this category has risen by 79 percent in the past decade, according to AARP. Are homeless female veterans invisible? 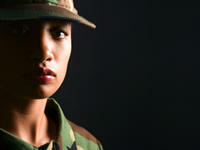 The rapid growth of homeless female veterans is unsettling at best. Although women veterans only represent about 2 percent of the overall homeless population, they’re at more than double the risk of becoming homeless. 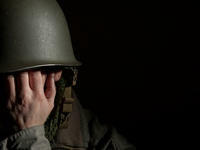 United States military suicides have never been so high. For the first time in at least a generation, more active duty soldiers killed themselves, 177, than were killed in combat, 176. No car? No problem. We take anything with a motor. Did you know that you could donate your old tractor? How about that Jet Ski or boat that hasn’t seen water in years? 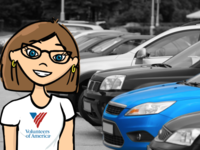 At Volunteers of America of Greater Ohio, we know way more than just Ohio car donation. Donating your car in Cincinnati couldn’t be easier or more rewarding. That’s because besides making space in your garage, saving money on repairs, avoiding the trouble of selling your car and even getting a deduction on your tax return. Picture walking through the school doors for your first day with no new backpack, no supplies, no back-to-school shopping. You probably know that donating your vehicle in Ohio is a quick way to save some money – but did you know that your giving supports critical programs for underprivileged families and individuals in Cleveland? At Volunteers of America of Greater Ohio, we believe that success starts at childhood. At-risk children come into our programs looking not only for an academic boost, but also a safe and nurturing. 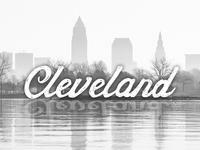 Cleveland, Ohio, has a multitude of organizations and outreach efforts for veterans in need. We at Volunteers of America of Greater Ohio are proud of the services and programs we offer our clients and encourage you to take a look. From the Veterans Resource Center to the Veterans Affairs Medical Center, explore all of the veteran resources available throughout Cincinnati. If you’re looking to get rid of that old clunker in the garage, why not donate your vehicle to Volunteers of America of Greater Ohio? While most kids are busy shuttling between the pool and soccer practice throughout the summer, the homeless children in our Youth Education Center have a very different story. At Volunteers of America, we believe a key component to ending homelessness is stable, affordable housing. From its beginnings more than a century ago, Volunteers of America has believed in the power of housing as the foundation for life. Efforts to end veteran homelessness across the country are making headway. But on any given night, 62,000 veteran heroes still have no place to lay their head* and Volunteers of America of Greater Ohio saw the number of homeless veterans it serves jump by 19% to more than 1,750 in 2012. Latasha Williams has a new apartment and a new job. But just a few months ago, for the first time in her life, Latasha was homeless with an infant and a 10 year old. 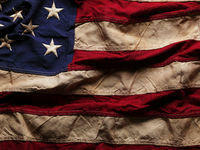 The nation’s first veterans’ hall of fame is now accepting nominations for its 2013 induction ceremony. Each year, the Ohio Veterans Hall of Fame committee chooses up to 20 men and women to recognize and honor their post-military achievements. While many female veterans are still uncertain or unaware of the many government services and resources available to them, the Department of Veterans Affairs hopes to make that a thing of the past. While the correlation between homelessness and Post Traumatic Stress Disorder (PTSD) was found decades ago, the recent influx of veterans returning from Iraq and Afghanistan has prompted a new surge in cases. There is no one-size-fits-all solution to homelessness. While homeless men face an array of challenges, homeless veterans must confront an entirely unique struggle. When the United States’ housing bubble burst six years ago, millions of Americans were left homeless. Since the foreclosure crisis and the subsequent collapse of the American economy. While the nation’s economy continues to recover, millions from coast to coast still struggle to meet their most basic needs. As another spring rolls around, it’s time to unpack the closets, basement, attic and garage. While you might discover some hidden gems, you’ll likely find piles of clothes and other items that no longer play a part in your life. 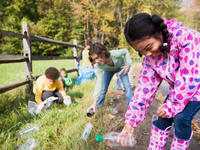 As Earth Day approaches on April 22, it’s time to start rethinking our imprint on the planet - and how we “go green.” Volunteers of America of Greater Ohio makes it easy to reduce, reuse and recycle. 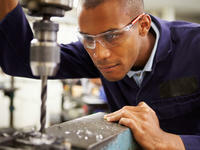 All too often, homelessness begins with a lack of employable skills. Non-transferability of skills is a constant struggle for many veterans who return from serving their country. 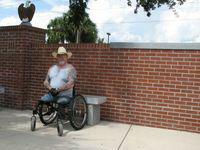 No two homeless veterans’ stories are the same. At Volunteers of America of Greater Ohio, from the moment a veteran enters our care, our goal is to help him or her regain stability and take back their life. The National Health Care for the Homeless Council released its final report on its multiphase veterans needs assessment. Presenting a captivating visual for a population that is often otherwise unseen, this graphic offers a portrait of family homelessness in America. There may soon be a more efficient method to track Ohio’s homeless after JPMorgan Chase has its say. The first weekend of March, the bank held the “Code for Good Challenge” at its 2 million-square-foot. Unfortunately, the story of Inocente Izucar doesn’t start out very differently than those of many other homeless kids. 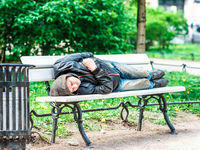 Intolerance toward the homeless community is a widespread issue. Oftentimes, people look down on the homeless without truly understanding or even considering the circumstances. 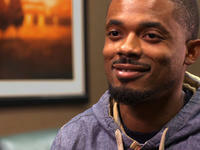 Young Homeless Veterans Double in the U.S. While the national total of homeless veterans in the United States is falling, the number of Iraq and Afghanistan veterans who are homeless or at risk of losing their home has more than doubled in the past two years. A random act of kindness can be a small gesture that brightens someone’s day: a smile, paying for the person behind you, bringing treats for your co-workers. If you believe that veteran unemployment is on the rise, think again. According to a recent Huffington Post article, veteran unemployment, at 7.0 percent, is actually lower than the nation’s 7.5 percent. What if you could never escape the cold Cleveland chill you felt on your walk to the car this morning? For thousands of homeless men, women and children all across Greater Ohio, this nightmare is a very real aspect of their day-to-day survival. 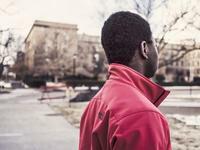 Survival as a homeless youth in Ohio is a daily fight, and trying to keep up with schoolwork while dealing with the trauma and stress of shelter life can be nearly impossible. Point-in-Time Counts of area homeless individuals are taking place across the state and the country this month, including our local areas of Cleveland, Columbus and Mansfield. The annual count provides data on homeless men, women and children living in emergency shelters, transitional housing, on the streets and in other locations not intended for human habitation. Find out how donating cars in Columbus, Cleveland and Cincinnati gives veterans hope. With more and more men and women returning from Afghanistan and Iraq, a shocking number are coming back homeless. 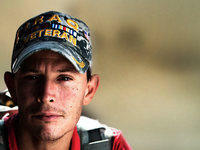 Leaving with hopes for a future, these young veterans are returning without a job, stability or even a place to sleep. Do you want to make a lifelong impact on someone? 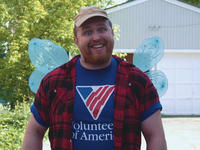 We, at Volunteers of America, are excited to meet you. And whether it be through volunteering your time or donating your car, Volunteers of America makes it easy to help others. 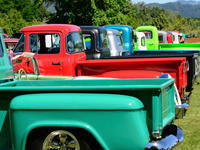 Donate your vehicle by 7 p.m. on December 31 and you will be eligible to receive a 2010 tax deduction. Learn more by clicking above. 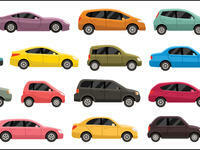 Donate your vehicle by 7 p.m. on December 31 and you will be eligibile to receive a 2010 tax deduction.